Private, Semi and Group lessons seven days a week. Side Saddle and Western Tasters. We can offer one-to-one tuition (private lessons), semi-private lessons (2-3 riders) and group lessons (+4 riders) every day between 10am and 5pm (please check weekly Evening Classes for later times). Private lessons are usually run during the week, there is limited availability at the weekend. Semi-private & Group lessons are available throughout the week, but are normally held at the weekend. Show jumping Mondays are now running and open to anyone capable in walk, trot and canter that can manage a small jump. You will need to be assessed for the group before joining as it is a group that works on improving the horses way of going over and around fences. Learn different exercises to help your confidence, balance and light seat position. The aim of this evening class is to develop a positive attitude towards riding through releasing stress and supporting the rider’s confidence by working on our level of fitness and coordination. Through developing a better balance on the horse we increase the rider’s equilibrium and his seat on the horse. Our aims are to improve mobility and flexibility, core stability, postural alignment, weight loss, cardiovascular fitness and create a oneness with our horse. The class is mainly for the novice rider who is capable to walk, trot and canter independently. But we also welcome the adult rider who has started riding recently and would like to try riding in a group in a relaxed atmosphere. Our chief instructor Joao Cavaco has a busy teaching calendar but Wednesday Nights you have the chance to join his class to learn and practice advanced dressage movements on our advanced horses. Joao’s very direct and charming portugese manner combined with challenging exercises will make you sweat and laugh. From time to time he will jump on one of the horses and ride through the movements to explain to you exactly what you need to focus on and how to be the rider and not the passenger on the horse. The Thursday evening class is targeted at riders have a good understanding of the basics and have progressed from the novice groups and who wish to push their riding and baking skills further. The sessions consist of a 1hr ride, followed by a lecture/discussion with tea (or coffee) and home baked cake. The principal instructor for the group is Nicola Swain. Nicola focuses on the scales of training and the interaction between them to improve her riders’ abilities. The techniques she employs ensure that the riders both have a goal to work to and have to work to that goal. The group was initially set up by one of the other instructors as a lighthearted alternative to Wanda’s Tuesday Balance and Fitness Club, quickly earning the nickname the Fatness Club due to the requirement of all members taking turns to bake a cake. The competitive nature of the group works well to push both their riding and baking skills forwards. This is a very popular group and riders who are interested in joining the group are welcome, subject to space being available. Tina and her parents started Contessa Riding and Training Centre in 1977 and it has continued to blossom and grow ever since. Tina competed up to Grand Prix level with her mare Pik Dame, who she trained right through the levels from a three year old. The highlight of her competition career was with Pik Dame representing Great Britain in 2000. At present she is training Queijada for GP work, a Lusitano mare previously owned by the daughter of Sylvia Loch of the Classical Riding Club, who wanted her horse to be trained by a classical rider who would be able to take her to her full potential. Since Q arrived at Contessa it has been the start of her affair with the Lusitano’s, as they require sensitivity, loving and harmony to produce the best from them and she is happy to give them all that! Borrowdale (Buster to his friends) – who introduced Tina to Grand Prix competition, having trained him to that level. Lanzo – also bought to sell, but ended up staying! With whom Tina competed to advanced /PSG level nationally, and who has introduced a few lucky members of staff to advanced competition. Other very special competition horses that have been with Tina inc Deskant, Marcus, Some Friend and many school horses have been taken under her wing for some competition experience. As a BHS Instructor and trainer, Tina has coached a very large number of riders, encouraging them all to work with their horse to achieve both harmony, understanding and correct way of going in the classical method. She has trained a great many students through their riding and teaching exams to the highest levels, including to the dressage section of the BHS Fellowship. She was previously a BHS examiner, and currently examines for the ABRS to their ATD Exam – the top exam that they offer. Tina is also a UKCC level 3 Tutor in Sport, NVQ A1 assessor and was a BHS Riding and Road Safety trainer and examiner. Tina has been training with Arthur Kottas (photo with Tina above), former First Chief Rider of the Spanish Riding School of Vienna, for over 20 Years. Tina goes to the TTT in Guildford several times a year to train with Arthur and has regularly been asked to perform in their lecture/demonstrations. She has also ridden in demos and received training from many great horseman, such as Reiner Klimke, Nuno Oliveira, John Lassetter, Danny Pevsner, Stephen Clarke, to mention just a few! Tina has also been working with John Bowen since 1993. This benefits all the students who then want to join in his clinics at Contessa which are held every two months, as the classical ethos of both their training is continued which she thinks is so very important. Tina feels she owes tremendous amount to her Mother and late Father who have helped her build Contessa Riding Centre into the international dressage yard that it is today. Without their support, advise and encouragement it may not be as it is now! Advanced Level Instructor and Trainer. Dawn has trained and worked alongside Tina for over 20 years. She has been the Head Girl at Contessa for many years and is currently Contessa’s Manager and one of our Advanced Instructors, teaching our highest level riders . Dawn has competed at advanced level dressage competitively and is able to pass this knowledge on to her students. Her monthly Sunday clinics, open to all levels, are well-attended and popular amongst both clients and staff. Dawn has worked at various private competition yards and currently teaches and judges dressage.at a local level . Dawn holds the ABRS Advanced Teaching Diploma and the BHS Intermediate Teaching exam and is a Group 3 Dressage Rider, NVQ Assessor and UKCC Assessor for the ABRS. Dawn specialises in training days for teaching exams in both BHS and ABRS qualifications and is highly involved in the training of staff and students at Contessa. Dawn has competed at Advanced level dressage on both her own and Tina’s horses and has ridden in lecture demos for Reiner Klimke and Arthur Kottas of the Spanish Riding School. Dawn teaches in a classical manner and has worked with a variety of horses from eventers to dressage horses from novice to advanced. Dawn has 2 daughters who both ride their own and Contessa ponies. Millie is an active pony club member and Vaulter with the Contessa Vaulting group, we hope to see them in the future taking an interest in dressage. Nicola developed a love of horses at a very young age, and has been riding virtually her whole life. She has worked in various yards, including dressage, jumping and stud yards. She has worked in dealer’s yards, hunting yards and even polo. Nicola loved eventing when she was younger, however she is no stranger to Contessa having trained with us 18 years ago. It was then that her passion to train classically and in particular dressage was born, which surprised her as she originally had plans to event. But the intricacy of dressage fascinated her, and she has carried on ever since. Nicola has owned her own horses, mainly training them from the start, and has competed to elementary level. Nicola only left to have her daughter and then embarked on a career as a police officer. However her passion for horses proved too strong and 2 years ago she returned to coaching and training. Nicola has, and still does, compete for the Hertfordshire Police Saddle Club, including showjumping at the Royal Windsor Horse Show, parading with colleagues in front of the Queen and leading a procession of over one hundred horses and riders from all services including the Army, Navy and Air Force. She has also competed in showjumping at Hickstead. For the future Nicola plans on completing her BHSII, and ABRS exams, continuing to compete with the Herts Police Saddle Club, and taking her young horse out to compete. She has a keen interest in in-hand work especially for rehabilitation of horses. This developed from her experience with her own horse having spinal issues. 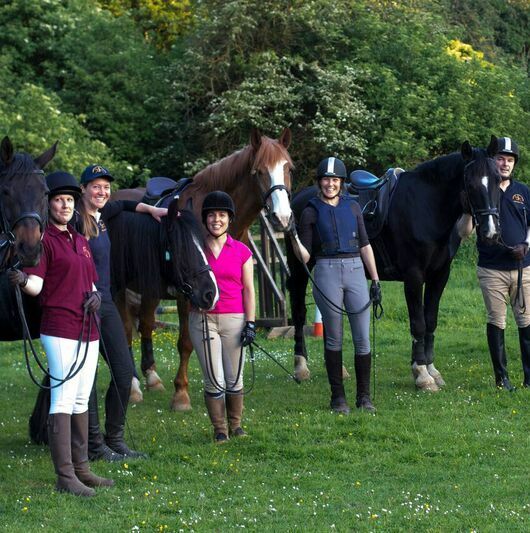 Nicola teaches passionately building a great rapport with her clients encouraging riders to build their confidence. Blossom has been riding and been around horses from a very young age and is now the proud owner of her two own horses. Showjumping is her passion but since starting her apprenticeship at Contessa her interest for Dressage is quickly growing. Alongside her apprenticeship, Blossom is also hoping to progress through the BHS Stages and is thoroughly enjoying beginning to teach new riders. Queijada is a Lusitano mare formerly owned by Sylvia Lochs daughter. Queijada has been competed by Tina at Advanced level dressage. Queijada was the first Lusitano at the yard and is trained in a classical style. Queijada enables our Advanced Instructors to use Classical teaching methods in teaching the Advanced movements. Queijada is very talented in Piaffe, Passage & Collection. Queijada is regularly seen on our dressage demonstrations and clinics. GiGi is great for Advanced Dressage. Well known as ‘Jordan’s Glamour Girl’, she is affectionately known as “GiGi” at Contessa. She works at Grand Prix level with lovely comfortable paces and a particularly good canter. She is talented in teaching Flying Changes including up to one-time changes. GiGi is known for her appearance at Horse of the Year Show with Katie Price. She has a very large fan club , especially those who want to progress with Advanced Dressage. Gigi is a Dutch Warmblood. 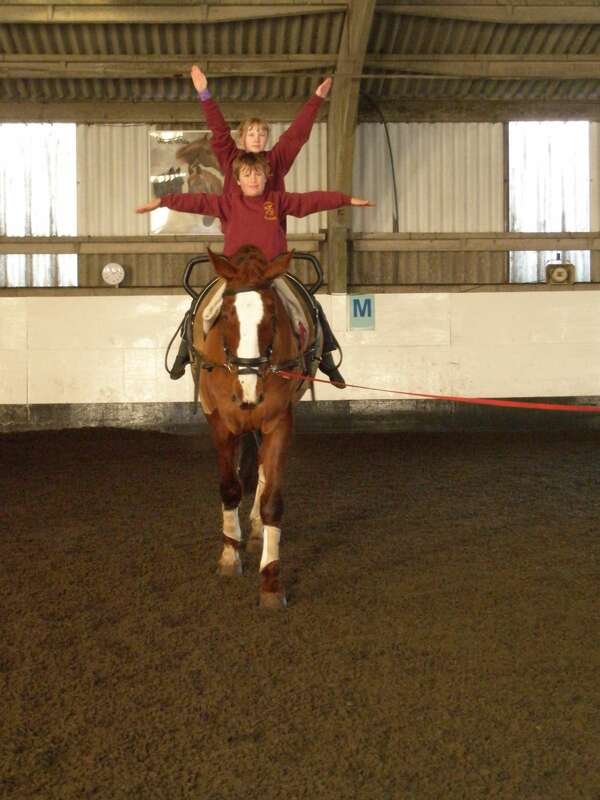 Puro is a talented school and vaulting horse. A KWPN by Purioso, Puro was imported from Holland at nine months old. He is a talented school horse, teaching our more experienced riders about lateral movements and the correct “way of going.” Puro is sensitive and always willing to please his riders. Puro is also one of our vaulting horses and is wonderful with the young vaulters, he is helping Contessa’s Vaulting team to achieve success and recognition. He has many fans within the centre and loves nothing more than going in the field with his best friend Real. A forward thinking, sensitive chap who has been trained to Advanced Level in Dressage. Tarik is a grey 15.2hh Andalusian x thoroughbred gelding. Tarik is a forward thinking and sensitive chap, trained to advanced level in dressage. He is shows a keen attitude to in-hand work. He is also an experienced show jumper and has a good competition record. Tarik also enjoys relaxing in the field with some of the Centre’s other horses. Tarik has proved to be a great dressage horse for young riders, teaching them how to get a correct seat and position. A gentle natured, quick thinker. Ted is a gentle natured quick thinking horse who loves to jump but is also athletic and enjoys forward thinking work. He is an ex-racehorse who has also evented. Ted is a favourite of both staff and clients seeking to gain more experience with feel. He is very good in teaching the rider the sensitivity of the aiding and the beginning of lateral work. Ted also enjoys taking part in Contessa’s many events and clinics. A great horse to improve your riding on. Axel came to Contessa with a background in both dressage and jumping. He is a Thoroughbred with three good paces. He has quickly become a favorite amongst our staff and is currently helping many riders in the transition from cob-type school horses to more sensitive, educated school horses. Many of our riders find him to be a fabulous ride, and help them progress through the levels to establish a better contact and feel. One of our newest additions. Faerie Flax is one of the newest additions to Contessa. She is an 11 year old British Warmblood, schooled to Medium level dressage. She is proving to be very good at all lateral movements with trot being her best gait. 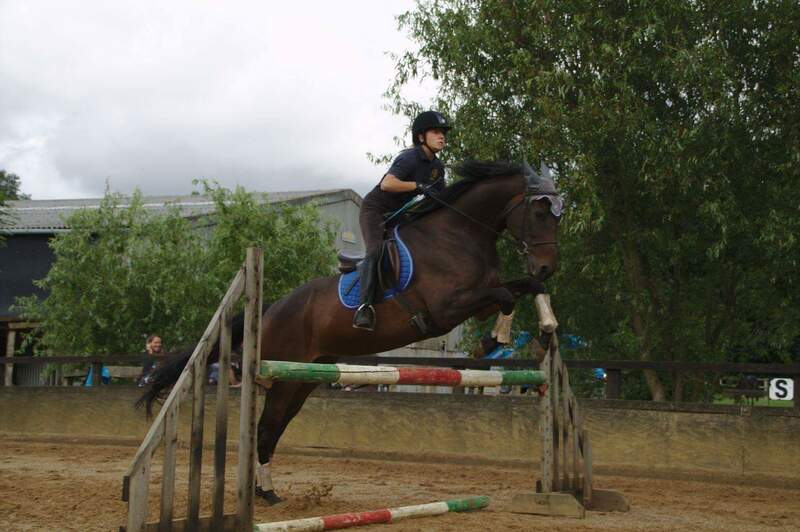 Saffy has also evented and enjoys showjumping. Saffy has a keen willing nature towards dressage, jumping and can be regularly seen on our ridden clinics. Walter is privately owned by Jeff. Despite his size Walter is a very light and sensitive horse. He is an ideal horse for an advancing rider who wishes to learn how to ride correctly. Before coming to Contessa Walter was a hunter and is currently getting used to his new role. Jeff’s plans for Walter include competing him. Young at heart and very versatile. Maisie is a beautiful dun and white tri-coloured mare who is a firm favourite. She is a versatile mare, who is great on the flat, over fences and has even turned her hoof to Western. Maisie loves jumping and taking part in fun Pony Club games and group Lessons. Is a very pretty and sensitive mare. Suzy is a sweet natured bay cob, who is a firm favourite with both adults and children. She has a very smooth canter and loves taking part in Pony Club activities. Suzy is also talented at lunge lessons with her 3 smooth gaits enabling people to work on their positions. Calm, reliable and a great ride. Since her arrival in 2012 Rosie has built up a considerable fan club amongst our young and adult riders. She is calm and reliable, helping riders find their balance and confidence. 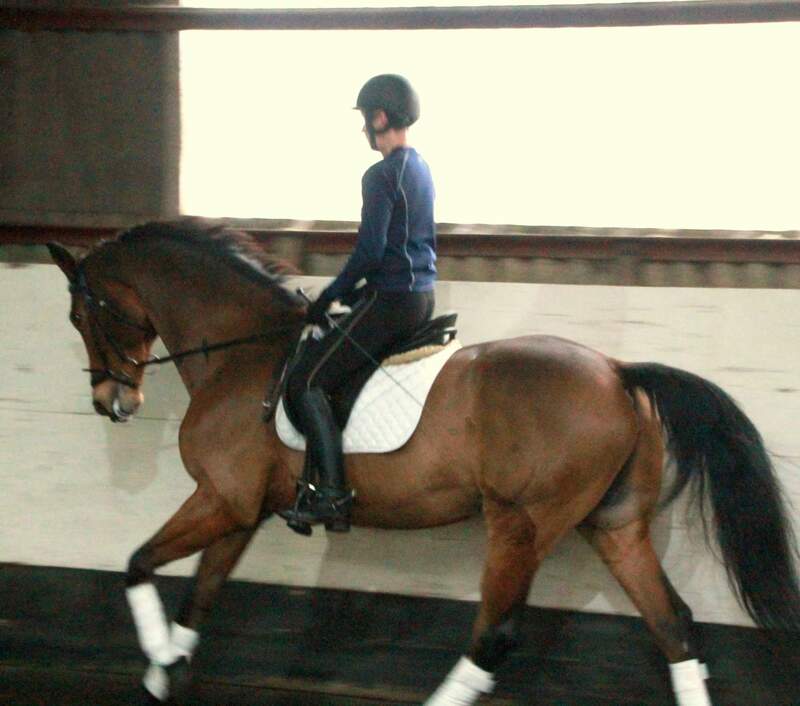 Rosie can also do lateral work and offers an interesting ride to more experienced riders. Rosie is also an incredibly honest jumper and really comes to life over fences. She is also now turning her hoof to vaulting.